One of the tenets of my astrophotography “philosophy,” if there can be such a thing (my university degree is in Philosophy after all), is to not spend an enormous amount of time and money chasing after the same images others do, knowing they will likely get far better results than I might achieve, given my location and choice number of clear skies. I don’t live in Arizona, New Mexico or Chile. Yes, there are certain showpiece objects one is obliged to shoot, to add to the portfolio. But rather than go after many of the usual galaxies and nebulas, I often prefer to shoot wider-field targets that others often bypass. Simple shots of constellations are often more in demand by publishers than closeups of deep-sky objects, and yet are usually in short supply, as many astrophotographers dismiss them as being “just for beginners.” But good constellation shots still take the right gear, techniques and skies to stand out. Only now am I getting the results I’ve long sought. With new techniques now in hand, one of my goals is to accumulate a complete portfolio of constellation portraits, though not all of these star patterns stand out as being photogenic. But this one does. 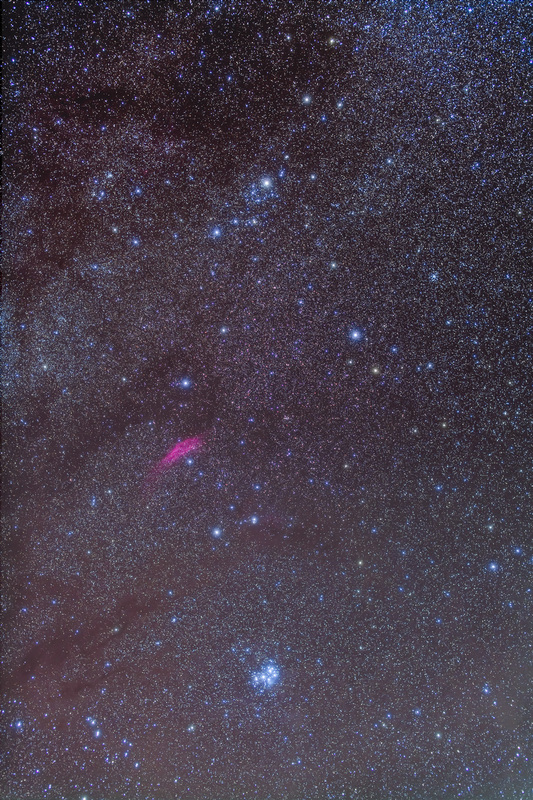 This shot is a recent favourite of mine, of the constellation of Perseus, a rich area of sky. 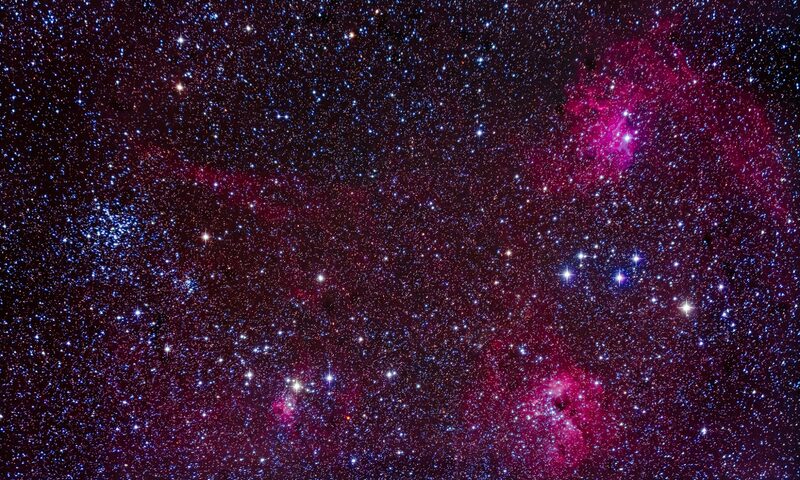 Modern digital cameras show it as the old film cameras never could, laced with reddish dark nebulas of different densities. The Milky Way through this region takes on such a variety of subtle hues achieving correct colour balance is tough. At top is the loose collection of hot blue stars known as the Perseus Association. At bottom is the most famous tightly bound cluster of stars, the Pleiades. Between is the finger of glowing hydrogen gas called the California Nebula. This photo is an example of how “simple constellation” shots can take on a beauty of their own.